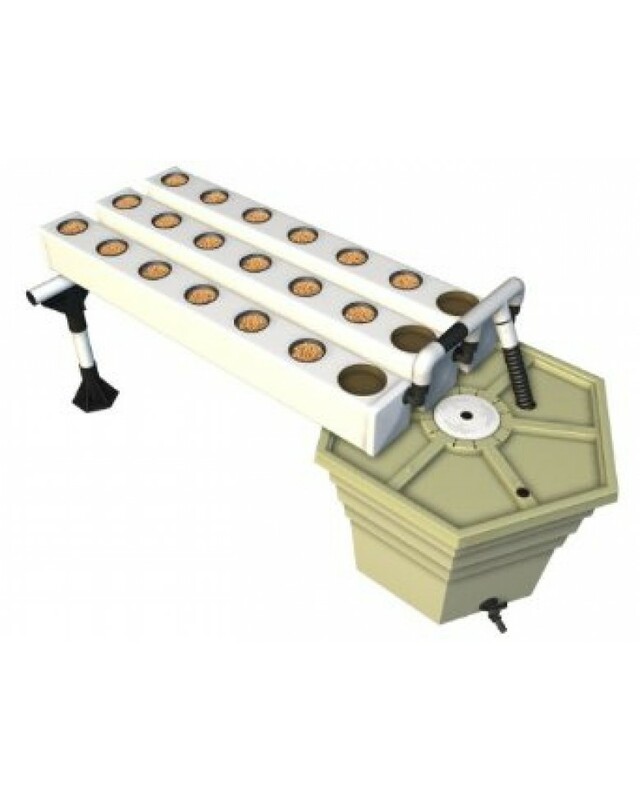 Hydroponic systems come complete with everything needed to start growing - Flora Series® nutrients, clay pebbles, net cups, coco cup liners, pump (except 60 extension), support structure and manifold. Legendary growth and yield are the hallmarks of the AeroFlo® line. AeroFlo® super-oxygenates the nutrient solution to deliver oxygen, water and nutrient in ideal combinations, creating a root zone environment that surpasses anything found in nature. The results are larger yields, stronger more resistant plants.